Food innovation is at an all-time high, says the Trendspotter Panel of the Specialty Food Association. Here’s what they predict will be hot trends in 2018. More algae and other plant-based proteins. Products meant to reduce food waste, as well as growth in the use of functional ingredients like activated charcoal, which is a base for the so-called ‘“goth” (black-hued) foods. Global cuisines: more Filipino and regional Middle Eastern foods. Here are the top 10 food trends. Plant-based options are proliferating in many categories beyond meat substitutes. Categories like cheese and frozen desserts are enjoying growth in plant-based subcategories (plant-based typically means dairy-free). As for meat alternatives, algae is winning fans. 2018 will bring more plant-based convenience foods, too. As consumers become more aware of how much food is wasted in the U.S., upcycled products—made from ingredients and scraps that would have otherwise be discarded—will have more appeal. We’re already seeing pressed juice made from imperfect fruit, chips made from fruit pulp, and snack bars made from spent grain from the beer-making process. Check out these “spent grain” foods: everything from baked goods to granola. Expect more products to hit the market in the coming year. Overshadowed by other Asian cuisines, the foods of the Philippines have not yet captured a broad U.S. audience. That’s shifting, as American palates have become more sophisticated and attuned to the complex flavors and bitter or sour notes of Filipino dishes. Chefs and tastemakers are taking to this cuisine, which has been called “the original fusion cuisine.” The dishes draw from Spanish, Malaysian, Chinese, Japanese, Indian and American ingredients and recipes. Possibly a reaction to the 2017’s deluge of rainbow and unicorn foods, black is the new black. Activated charcoal—produced by heating coconut shells to extremely high temperatures until they are carbonized—is gaining superfood status for its reported detoxifying attributes. But it’s also fashion food: It’s being used to make black-hued food, in everything from pizza crust to lemonade to ice cream. We’ll see the trend spread in the coming year. With sugar topping the list of dietary watch-outs, consumers continue to look to alternative sweeteners for lower glycemic impact, fewer added-sugar calories, intriguing sweet flavors and sustainable footprints. Syrups made from dates, sorghum, and even yacon and sun root, will join monk fruit on the market as emerging options for sweet. 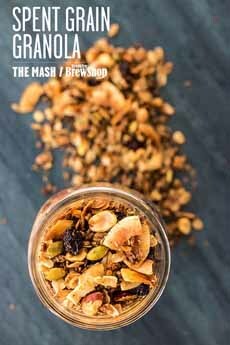 Spent grains that are left over from brewing beer are upcycled into granola and baked goods (photo courtesy Brooklyn Brew Shop). Watch for more dairy-free, plant-based cheese, a.k.a. 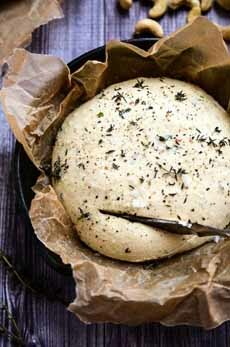 vegan cheese (photo courtesy Blissful Basil | Brit.co). 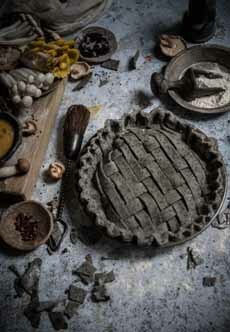 Goth food—so-called because it’s black—is made with activated charcoal. Look for everything from croissants and waffles to ice cream (photo courtesy Twigg Studios). Don’t toss the scraps! 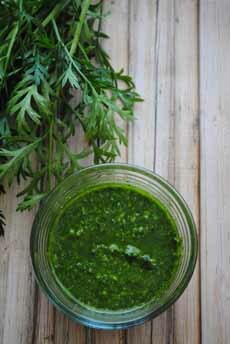 This pesto is made from carrot tops. Here’s the recipe from Eat Well Spend Smart. More is more when it comes to product labeling. Consumers will seek greater on-label visibility into the farms, ingredient sources, and supply chain of each item in their shopping basket. GMO transparency is among the most prioritized details. Shoppers want new depths of information across the spectrum, including Fair Trade certification, responsible production, and no animal testing. Between nose-to-tail butchery and reducing food waste, a few forces are combining to inspire root-to-stem cooking. That means utilizing the entire fruit or vegetable, including parts like the peel, stems or leaves, that are less commonly eaten in the U.S. The legalization of marijuana—first for medicinal purposes, then for recreational purposes—has created an industry in marijuana-enhanced foods and beverages. 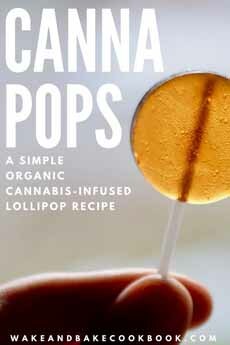 As more states legalize recreational marijuana*, the varieties of pot-enhanced foods will increase. Foods like hummus, pita, and falafel have become mainstream; but consumers are ready to explore the deep traditions, regional differences, and classic ingredients of Middle Eastern cuisines. Look for more Israeli, Lebanese, Moroccan, Persian and Syrian influences, in restaurants and on the shelf. Although recent attention has focused on gluten-free options, the traditional side of bakery has been elevated by the same sourcing and fine-tuned production processes we see with proteins and vegetables. Artisan bakers are using local grains, milling the day before baking, and incorporating long proofing times, re-inventing what good bread means. Cricket flour and non-grain sustainable proteins. Savory flavors where one would expect sweet. Pasture-raised animals: for animal welfare, plus better health and taste for consumers. Eating for beauty, with products like collagen-infused foods; moringa as the new superfood; mushrooms (extracts, powdered, or whole) as a functional ingredient in everything from chocolate to lattes. It looks to be another exciting year in food! *It’s important to note that Federal law prohibits the possession, sale or distribution of marijuana; but its sale and use is declared legal under some state laws.